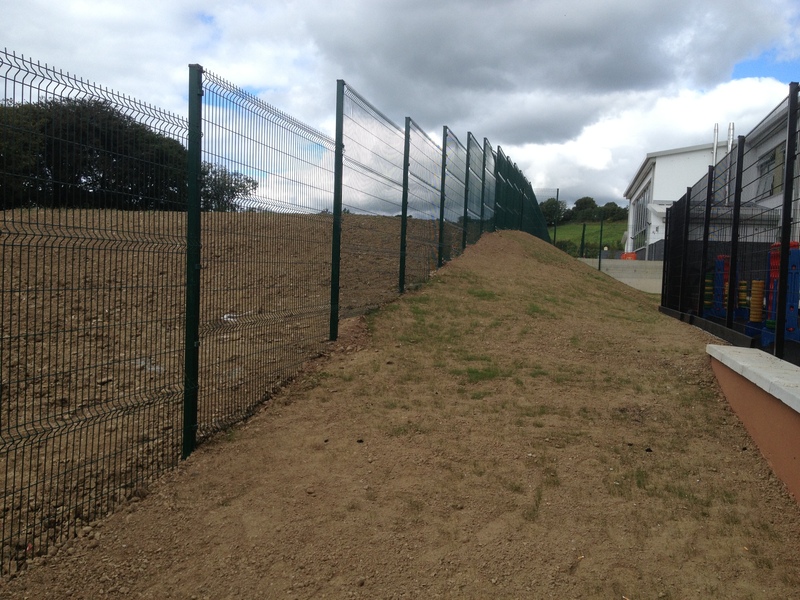 V Mesh Post & Panel System is a modern style of fencing. This fencing system looks slick and modern in a wide range of installations should it be commercial of industrial or a sporting location. This product is sold as a complete system meaning no other components are required for installation except concrete mix for setting into the ground. Flat plates can also be provided for fixing to a concrete base.This product is available in 3 sizes 1230mm high, 1830mm high and 2430mm high, panels are mainly 3m wide. V Mesh Post & Panel System 1735mm high x 3000mm panels. Cost is per metre to include post, panel and all fittings.